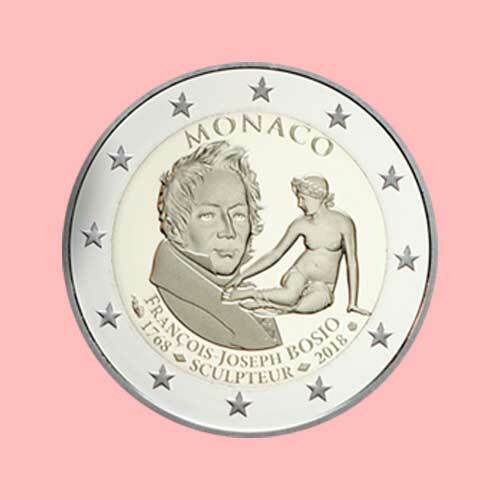 Monaco released a €2 commemorative coin to celebrate the 250th birth anniversary of the great sculptor Francois-Joseph Bosio. Bosio was known for creating many interesting works for French ruler Napoleon Bonaparte. Bosio’s sculptures can be found on many monuments in Paris. Several other sculptures are showcased in museums across the globe. A Proof version of the ringed –bimetallic coin is also available. The 8.5 grams coin has a mintage limit of 16,000 pieces. The coin has a copper-nickel core while the outer copper-aluminum-nickel ring features 12 stars of the European flag. A map of the European Union is featured on the reverse. The coin can be purchased along with a 2016 €2 coin of Charles III for €499.